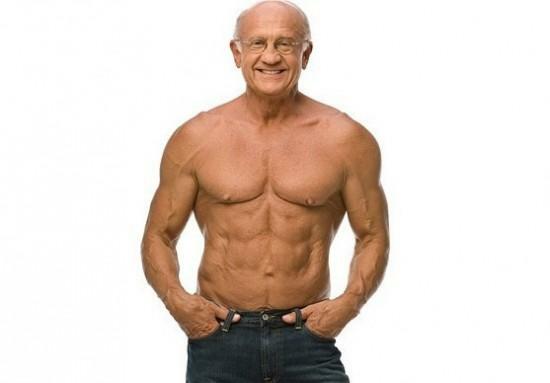 Not everyone can look like Dr Jeffrey here in their 70’s, but now it may be possible to stay healthy and feel young, thanks to new breakthroughs in anti-aging research, including Niagen. Niagen is the brand name of Nicotinamide Riboside, a recently discovered form of Vitamin B3 that occurs naturally in mothers milk and other natural substances. This recent research has proven that a single dose of Niagen raises the levels of NAD+ in humans. This is important because the mitochondria in every cell in your body depend on NAD+ for energy. It is the basic energy building block that all life depends on. Previous studies have demonstrated that increased NAD+ levels actually reverse the aging process (1). Mice whose NAD+ levels were raised over an 8 week period had more energy, weight loss, improved thinking, and increased muscle strength. Autopsies of the old mice showed muscles equivalent of to those of young mice. When humans are young, our cells are rich with NAD+, giving us youthful energy and appearance. But as we grow older, we gradually lose our NAD+ by as much as 50%. When this happens, the communication between the nucleus and mitochondria break down, and our cells don’t produce nearly as much energy as they once did. Cells have less energy to perform ALL the basic tasks and are more easily damaged by free radicals. This is the normal aging process we all go through with wrinkles, graying hair, less energy, memory loss, etc. Many other studies are currently underway to explore the numerous benefits of increasing NAD+ such as improved vision, energy, hearing, weight loss, neurological protection (2,3,4). Like so many things, NAD+ levels decrease as we age. Bringing them back up improves the mitochondria functioning and has been shown to dramatically reverse the aging process! Preliminary testing with Humans showed Niagen to improve hearing loss, protect against neurological damage, and does effectively raise NAD+ levels. 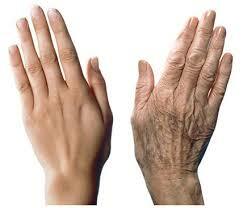 Several other research projects are ongoing to determine proper dosage and effectiveness for anti-aging. Increasing NAD+ in our cells has a host of benefits including brain health, muscle endurance, metabolism, and anti-aging; Niagen increases the level of NAD+ in our cells. Chromadex owns the trademark for “Niagen”, with 5 patents granted for its production. They are the only supplier, so there is no real difference in the different brands of Niagen currently on the market. One brand that does try to differentiate their product – “Basis” by Elysium. They add a proprietary form of resveratrol called pterostilbene, which they claim makes it work better. Pterostilbene is also made by Chromadex. Perhaps it does work a tiny bit better, or more likely it done to justify the price they charge which is about 50% more than other brands for lessNiagen. The chart here lists the brands with best pricing. All have different capsule size and quantity, so we break down the math to show the cost per mg to better compare for you. which are strictly enforced by manufacturers. HPN- High Performance Nutrition is our favorite brand. The 3, 6, and 12 bottle packages offer the best value. LiveCellResearch is becoming the best known as they advertise a lot more. They are a smaller company, but have a good reputation so far. Pricing for a single bottle is the lowest cost per mg, but do not have the multiple bottle deals that HPN does. Life Extension is the biggest brand name so far selling Niagen, so some people are more comfortable buying here even though their price per mg is not competitive with other brands. They also sell a small quantity for around $21 for those wanting a trial, but the 30 100mg pills would only last 6 days if you take the 500mg per day that recent research shows to be most effective. This study conducted by researchers at Weill Cornell Medical College and the Polytechnic School in Lausanne, Switzerland, showed that supplementing with nicotinamide riboside (NR) reduced metabolic and age-related disorders characterized by defective mitochondrial function. www.cell.com documents NR benefits for hearing loss. Bieganowski P, Brenner C. Discoveries of nicotinamide riboside as a nutrient and conserved NRK genes establish a Preiss-Handler independent route to NAD+ in fungi and humans. Cell. 2004 May 14;117(4):495-502. Imai S, Armstrong CM, Kaeberlein M, Guarente L (2000) Transcriptional silencing and longevity protein Sir2 is an NAD-dependent histone deacetylase. Nature 403: 795–800. Tanner KG, Landry J, Sternglanz R, Denu JM (2000) Silent information regulator 2 family of NAD-dependent histone/protein deacetylases generates a unique product, 1-O-acetyl-ADP-ribose. Proc Natl Acad Sci U S A 97: 14178–14182. Smith JS, Brachmann CB, Celic I, Kenna MA, Muhammad S, et al. (2000) A phylogenetically conserved NAD+-dependent protein deacetylase activity in the Sir2 protein family. Proc Natl Acad Sci U S A 97: 6658–6663. Landry J, Sutton A, Tafrov ST, Heller RC, Stebbins J, et al. (2000) The silencing protein Sir2 and its homologs are NAD-dependent protein deacetylases. Proc Natl Acad Sci U S A 97: 5807–5811. Tanny JC, Moazed D (2001) Coupling of histone deacetylation to NAD breakdown by the yeast silencing protein Sir2: Evidence for acetyl transfer from substrate to an NAD breakdown product. Proc Natl Acad Sci U S A 98: 415–420. Canto C et al. The NAD (+) precursor nicotinamide riboside enhances oxidative metabolism and protects against high-fat diet-induced obesity. Cell Metab 2012; 15: 838-847. Busso N, Karababa M, Nobile M, et al. Pharmacological inhibition of nicotinamide phosphoribosyltransferase/visfatin enzymatic activity identifies a new inflammatory pathway linked to NAD. PLoS One. 2008 May 21;3(5):e2267. Imai S, Armstrong CM, Kaeberlein M, Guarente L. Transcriptional silencing and longevity protein Sir2 is an NAD-dependent histone deacetylase. Nature. 2000 Feb 17;403(6771):795-800. Gomes AP, Price NL, Ling AJ, et al. Declining NAD(+) induces a pseudohypoxic state disrupting nuclear-mitochondrial communication during aging. Cell. 2013 Dec 19;155(7):1624-38. Imai SI, Guarente L. NAD and sirtuins in aging and disease. Trends Cell Biol. 2014 Aug;24(8):464-71. Prolla TA, Denu JM. 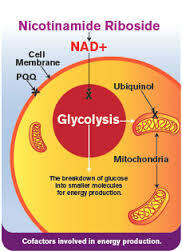 NAD+ deficiency in age-related mitochondrial dysfunction. Cell Metab. 2014 Feb 4;19(2):178-80. Morris KC, Lin HW, Thompson JW, Perez-Pinzon MA. Pathways for ischemic cytoprotection: role of sirtuins in caloric restriction, resveratrol, and ischemic preconditioning. J Cereb Blood Flow Metab. 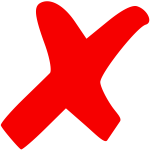 2011 Apr;31(4):1003-19. Sebastián C , Satterstrom FK,Haigis MC, Mostoslavsky R. From sirtuin biology to human diseases: an update. J Biol Chem. 2012 Dec 14;287(51):42444-52. Min SW, Sohn PD, Cho SH, Swanson RA, Gan L. Sirtuins in neurodegenerative diseases: an update on potential mechanisms. Front Aging Neurosci. 2013 Sep 25;5:53. Oellerich MF, Potente M. FOXOs and sirtuins in vascular growth, maintenance, and aging. Circ Res. 2012 Apr 27;110(9):1238-51. Haigis MC, Sinclair DA. Mammalian sirtuins: biological insights and disease relevance. Annu Rev Pathol. 2010;5:253-95. Kemper JK, Choi SE, Kim DH. Sirtuin 1 deacetylase: a key regulator of hepatic lipid metabolism. Vitam Horm. 2013;91:385-404. Schug TT, Li X. Sirtuin 1 in lipid metabolism and obesity. Ann Med. 2011 May;43(3):198-211. Ahn J, Lee H, Jung CH, Jeon TI, Ha TY. MicroRNA-146b promotes adipogenesis by suppressing the SIRT1-FOXO1 cascade. EMBO Mol Med. 2013 Oct;5(10):1602-12. Pang W, Wang Y, Wei N, et al. Sirt1 inhibits akt2-mediated porcine adipogenesis potentially by direct protein-protein interaction. PLoS One. 2013;8(8):e71576. Frojdo S, Durand C, Molin L, et al. Phosphoinositide 3-kinase as a novel functional target for the regulation of the insulin signaling pathway by SIRT1. Mol Cell Endocrinol. 2011 Mar 30;335(2):166-76. Sasaki T, Kim HJ, Kobayashi M, et al. Induction of hypothalamic Sirt1 leads to cessation of feeding via agouti-related peptide. Endocrinology. 2010 Jun;151(6):2556-66. Feige JN, Lagouge M, Canto C, et al. Specific SIRT1 activation mimics low energy levels and protects against diet-induced metabolic disorders by enhancing fat oxidation. Cell Metab. 2008 Nov;8(5):347-58. Green MF, Hirschey MD. SIRT3 weighs heavily in the metabolic balance: a new role for SIRT3 in metabolic syndrome. J Gerontol A Biol Sci Med Sci. 2013 Feb;68(2):105-7.